CARFAX One-Owner. Clean CARFAX. Panorama Roof, 18 5-Spoke Alloy Wheels, Android Auto, Apple CarPlay, Black Headliner, Blind Spot Assist, CD player, HANDS-FREE ACCESS, Heated Front Seats, KEYLESS GOr, Premium Package, Rear Spoiler, SiriusXM Satellite Radio, Smartphone Integration, Smartphone Integration (14U). We know you would like to see this car up close so call Todd Frison, Isaac Weaver, or Matt Bourassa to schedule an appointment!! Proudly serving Gilbert, Casa Grande, Chandler, Scottsdale, Peoria, Surprise, Avondale, Tucson, Mesa, Phoenix. Please call 1-855-717-7620. 24/37 City/Highway MPG We know you would like to see this car up close so call Todd Frison, Isaac Weaver, or Matt Bourassa to schedule an appointment!! Proudly serving Gilbert, Casa Grande, Chandler, Scottsdale, Peoria, Surprise, Avondale, Tucson, Mesa, Phoenix. Please call 1-855-717-7620. - Air Conditioning, Climate Control, Dual Zone Climate Control, Cruise Control, Power Steering, Power Windows, Power Mirrors, Leather Steering Wheel, Power Passenger Seat, Memory Seat Position, Clock, Tachometer, Digital Info Center, Tilt Steering Wheel, Telescoping Steering Wheel, Steering Wheel Radio Controls, Driver Airbag, Passenger Airbag, Side Airbags, Keyless Entry, Security System, ABS Brakes, Traction Control, Dynamic Stability, Rear Defogger, Fog Lights, Intermittent Wipers, AM/FM, CD Player, Anti-Theft, MB TEX Interior Surface, Front Bucket Seats, MB-Tex Leatherette Seat Trim, Radio: Audio 20 CD with Garmin Navigation Pre-Wiring, 4-Wheel Disc Brakes, Front Center Armrest, Automatic temperature control, Brake assist, Bumpers: body-color, Delay-off headlights, Driver door bin, Driver vanity mirror, Dual front impact airbags, Dual front side impact airbags, Emergency communication system, Four wheel independent suspension, Front anti-roll bar, Front reading lights, Fully automatic headlights, Heated door mirrors, Illuminated entry, Knee airbag, Low tire pressure warning, Occupant sensing airbag, Outside temperature display, Overhead airbag, Overhead console, Passenger door bin, Passenger vanity mirror, Power door mirrors, Power driver seat, Radio data system, Rain sensing wipers, Rear anti-roll bar, Rear reading lights, Rear seat center armrest, Split folding rear seat, Telescoping steering wheel, Turn signal indicator mirrors, Front beverage holders, Child-Seat-Sensing Airbag, 8 Speakers, Exterior Parking Camera Rear Bluetooth, Carpeted Floor Mats, Center Arm Rest, Child Proof Door Locks, Daytime Running Lights, Heated Mirrors, Overhead Console, Rear Fog Lamps, Reverse Camera, Roll Stability Control, Side Curtain Airbags, Tire Pressure Monitor, Vanity Mirrors -CARFAX One-Owner. Clean CARFAX. Panorama Roof, 18 5-Spoke Alloy Wheels, Android Auto, Apple CarPlay, Black Headliner, Blind Spot Assist, CD player, HANDS-FREE ACCESS, Heated Front Seats, KEYLESS GOr, Premium Package, Rear Spoiler, SiriusXM Satellite Radio, Smartphone Integration, Smartphone Integration (14U). Clean CARFAX. Rearview Camera, Panorama Roof, Android Auto, Apple CarPlay, Black Fabric Headliner, Blind Spot Assist, Burl Walnut Wood Trim, Burmester Premium Sound System, Heated Front Seats, KEYLESS GOr, Premium Package, SD-Card Navigation Pre-Wiring, SiriusXM Satellite Radio, Smartphone Integration, Smartphone Integration Package, Wheels: 18 Twin 5-Spoke. We know you would like to see this car up close so call Todd Frison, Isaac Weaver, or Matt Bourassa to schedule an appointment!! Proudly serving Gilbert, Casa Grande, Chandler, Scottsdale, Peoria, Surprise, Avondale, Tucson, Mesa, Phoenix. Please call 1-855-717-7620. Priced below KBB Fair Purchase Price! 24/33 City/Highway MPG We know you would like to see this car up close so call Todd Frison, Isaac Weaver, or Matt Bourassa to schedule an appointment!! Proudly serving Gilbert, Casa Grande, Chandler, Scottsdale, Peoria, Surprise, Avondale, Tucson, Mesa, Phoenix. Please call 1-855-717-7620. - Air Conditioning, Climate Control, Dual Zone Climate Control, Cruise Control, Power Steering, Power Windows, Power Mirrors, Leather Steering Wheel, Power Passenger Seat, Memory Seat Position, Wood Trim, Clock, Tachometer, Digital Info Center, Homelink System, Tilt Steering Wheel, Telescoping Steering Wheel, Steering Wheel Radio Controls, Sunroof, Moonroof, Driver Airbag, Passenger Airbag, Keyless Entry, Security System, ABS Brakes, Traction Control, Dynamic Stability, Rear Defogger, Fog Lights, Intermittent Wipers, AM/FM, CD Player, Anti-Theft, MB TEX Interior Surface, Premium Package, 5 Speakers, Premium audio system: COMAND, Radio data system, Radio: Audio 20, SiriusXM Satellite Radio, Weather band radio, Automatic temperature control, Head restraints memory, Power driver seat, Power Front Seats with Driver Memory, Steering wheel memory, Four wheel independent suspension, 4-Wheel Disc Brakes, Anti-whiplash front head restraints, Child-Seat-Sensing Airbag, Dual front impact airbags, Dual front side impact airbags, Emergency communication system: mbrace2, Front anti-roll bar, Knee airbag, Low tire pressure warning, Occupant sensing airbag, Overhead airbag, Rear anti-roll bar, Rear side impact airbag, Blind Spot Assist, Brake assist, Exterior Parking Camera Rear, Delay-off headlights, Fully automatic headlights, Auto-dimming door mirrors, Bodyside moldings, Bumpers: body-color, Heated door mirrors, Power door mirrors, Turn signal indicator mirrors, Android Auto, Apple CarPlay, Auto-dimming Rear-View mirror, Black Fabric Headliner, Compass, Driver door bin, Driver vanity mirror, Front reading lights, Genuine wood console insert, Genuine wood dashboard insert, Genuine wood door panel insert, Illuminated entry, Outside temperature display, Overhead console, Passenger vanity mirror, Rear reading lights, Rear seat center armrest, Telescoping steering wheel, 4-way Power Driver's Lumbar Support, Front Bucket Seats, Front Center Armrest, Heated Front Seats, MB-Tex Upholstery, Split folding rear seat, Passenger door bin, Wheels: 18 Twin 5-Spoke, Rain sensing wipers, Rearview Camera, Panorama Roof Bluetooth, Body Side Moldings, Carpeted Floor Mats, Center Arm Rest, Child Proof Door Locks, Daytime Running Lights, Heated Mirrors, Overhead Console, Rear Fog Lamps, Rear-Side Airbags, Reverse Camera, Roll Stability Control, Side Curtain Airbags, Tire Pressure Monitor, Vanity Mirrors -Clean CARFAX. Rearview Camera, Panorama Roof, Android Auto, Apple CarPlay, Black Fabric Headliner, Blind Spot Assist, Burl Walnut Wood Trim, Burmester Premium Sound System, Heated Front Seats, KEYLESS GOr, Premium Package, SD-Card Navigation Pre-Wiring, SiriusXM Satellite Radio, Smartphone Integration, Smartphone Integration Package, Wheels: 18 Twin 5-Spoke. Clean CARFAX. Rearview Camera, Android Auto, Apple CarPlay, Blind Spot Assist, Burl Walnut Wood Trim, Electronic Trunk Closer, HANDS-FREE ACCESS, Hands-Free Access Package, HANDS-FREE Comfort Package, Heated Front Seats, KEYLESS GOr, Porcelain Fabric Headliner, Premium Package, SD-Card Navigation Pre-Wiring, SiriusXM Satellite Radio, Smartphone Integration, Smartphone Integration Package, Wheels: 18 Twin 5-Spoke. We know you would like to see this car up close so call Todd Frison, Isaac Weaver, or Matt Bourassa to schedule an appointment!! Proudly serving Gilbert, Casa Grande, Chandler, Scottsdale, Peoria, Surprise, Avondale, Tucson, Mesa, Phoenix. Please call 1-855-717-7620. 24/33 City/Highway MPG We know you would like to see this car up close so call Todd Frison, Isaac Weaver, or Matt Bourassa to schedule an appointment!! Proudly serving Gilbert, Casa Grande, Chandler, Scottsdale, Peoria, Surprise, Avondale, Tucson, Mesa, Phoenix. Please call 1-855-717-7620. - Air Conditioning, Climate Control, Dual Zone Climate Control, Cruise Control, Power Steering, Power Windows, Power Mirrors, Leather Steering Wheel, Power Passenger Seat, Memory Seat Position, Wood Trim, Clock, Tachometer, Digital Info Center, Homelink System, Tilt Steering Wheel, Telescoping Steering Wheel, Steering Wheel Radio Controls, Sunroof, Moonroof, Driver Airbag, Passenger Airbag, Keyless Entry, Security System, ABS Brakes, Traction Control, Dynamic Stability, Rear Defogger, Fog Lights, Intermittent Wipers, AM/FM, CD Player, Anti-Theft, MB TEX Interior Surface, Power Front Seats with Driver Memory, MB-Tex Upholstery, Radio: Audio 20, 4-way Power Driver's Lumbar Support, 4-Wheel Disc Brakes, Front Bucket Seats, Front Center Armrest, Anti-whiplash front head restraints, Auto-dimming door mirrors, Automatic temperature control, Bodyside moldings, Brake assist, Bumpers: body-color, Delay-off headlights, Driver door bin, Driver vanity mirror, Dual front impact airbags, Dual front side impact airbags, Four wheel independent suspension, Front anti-roll bar, Front reading lights, Fully automatic headlights, Genuine wood console insert, Genuine wood dashboard insert, Genuine wood door panel insert, Head restraints memory, Heated door mirrors, Illuminated entry, Knee airbag, Low tire pressure warning, Occupant sensing airbag, Outside temperature display, Overhead airbag, Overhead console, Passenger door bin, Passenger vanity mirror, Power door mirrors, Power driver seat, Radio data system, Rain sensing wipers, Rear anti-roll bar, Rear reading lights, Rear seat center armrest, Rear side impact airbag, Split folding rear seat, Steering wheel memory, Telescoping steering wheel, Turn signal indicator mirrors, Weather band radio, Front beverage holders, Auto-dimming Rear-View mirror, Child-Seat-Sensing Airbag, 5 Speakers, Compass, Premium audio system: COMAND, Exterior Parking Camera Rear, Emergency communication system: mbrace2 Bluetooth, Body Side Moldings, Carpeted Floor Mats, Center Arm Rest, Child Proof Door Locks, Daytime Running Lights, Heated Mirrors, Overhead Console, Rear Fog Lamps, Rear-Side Airbags, Reverse Camera, Roll Stability Control, Side Curtain Airbags, Tire Pressure Monitor, Vanity Mirrors -Clean CARFAX. Rearview Camera, Android Auto, Apple CarPlay, Blind Spot Assist, Burl Walnut Wood Trim, Electronic Trunk Closer, HANDS-FREE ACCESS, Hands-Free Access Package, HANDS-FREE Comfort Package, Heated Front Seats, KEYLESS GOr, Porcelain Fabric Headliner, Premium Package, SD-Card Navigation Pre-Wiring, SiriusXM Satellite Radio, Smartphone Integration, Smartphone Integration Package, Wheels: 18 Twin 5-Spoke. CARFAX One-Owner. Rearview Camera, Android Auto, Apple CarPlay, Porcelain Fabric Headliner, SD-Card Navigation Pre-Wiring, Smartphone Integration, Smartphone Integration Package, Wheels: 17 Split Y-Spoke. We know you would like to see this car up close so call Todd Frison, Isaac Weaver, or Matt Bourassa to schedule an appointment!! Proudly serving Gilbert, Casa Grande, Chandler, Scottsdale, Peoria, Surprise, Avondale, Tucson, Mesa, Phoenix. Please call 1-855-717-7620. 24/33 City/Highway MPG We know you would like to see this car up close so call Todd Frison, Isaac Weaver, or Matt Bourassa to schedule an appointment!! Proudly serving Gilbert, Casa Grande, Chandler, Scottsdale, Peoria, Surprise, Avondale, Tucson, Mesa, Phoenix. Please call 1-855-717-7620. - Air Conditioning, Climate Control, Dual Zone Climate Control, Cruise Control, Power Steering, Power Windows, Power Mirrors, Leather Steering Wheel, Power Passenger Seat, Memory Seat Position, Wood Trim, Clock, Tachometer, Digital Info Center, Homelink System, Tilt Steering Wheel, Telescoping Steering Wheel, Steering Wheel Radio Controls, Sunroof, Moonroof, Driver Airbag, Passenger Airbag, Keyless Entry, Security System, ABS Brakes, Traction Control, Dynamic Stability, Rear Defogger, Fog Lights, Intermittent Wipers, AM/FM, CD Player, Anti-Theft, MB TEX Interior Surface, Power Front Seats with Driver Memory, MB-Tex Upholstery, Radio: Audio 20, 4-way Power Driver's Lumbar Support, 4-Wheel Disc Brakes, Front Bucket Seats, Front Center Armrest, Anti-whiplash front head restraints, Auto-dimming door mirrors, Automatic temperature control, Bodyside moldings, Brake assist, Bumpers: body-color, Delay-off headlights, Driver door bin, Driver vanity mirror, Dual front impact airbags, Dual front side impact airbags, Four wheel independent suspension, Front anti-roll bar, Front reading lights, Fully automatic headlights, Genuine wood console insert, Genuine wood dashboard insert, Genuine wood door panel insert, Head restraints memory, Heated door mirrors, Illuminated entry, Knee airbag, Low tire pressure warning, Occupant sensing airbag, Outside temperature display, Overhead airbag, Overhead console, Passenger door bin, Passenger vanity mirror, Power door mirrors, Power driver seat, Radio data system, Rain sensing wipers, Rear anti-roll bar, Rear reading lights, Rear seat center armrest, Rear side impact airbag, Split folding rear seat, Steering wheel memory, Telescoping steering wheel, Turn signal indicator mirrors, Weather band radio, Front beverage holders, Auto-dimming Rear-View mirror, Child-Seat-Sensing Airbag, 5 Speakers, Compass, Premium audio system: COMAND, Exterior Parking Camera Rear, Emergency communication system: mbrace2 Bluetooth, Body Side Moldings, Carpeted Floor Mats, Center Arm Rest, Child Proof Door Locks, Daytime Running Lights, Heated Mirrors, Overhead Console, Rear Fog Lamps, Rear-Side Airbags, Reverse Camera, Roll Stability Control, Side Curtain Airbags, Tire Pressure Monitor, Vanity Mirrors -CARFAX One-Owner. Rearview Camera, Android Auto, Apple CarPlay, Porcelain Fabric Headliner, SD-Card Navigation Pre-Wiring, Smartphone Integration, Smartphone Integration Package, Wheels: 17 Split Y-Spoke. CARFAX One-Owner. Rearview Camera, Android Auto, Apple CarPlay, Blind Spot Assist, Burmester Premium Sound System, Crystal Grey Fabric Headliner, Heated Front Seats, Illuminated Star, KEYLESS GOr, Natural Grain Black Ash Wood Center Console, Premium Package, Rear Spoiler, SD-Card Navigation Pre-Wiring, SiriusXM Satellite Radio, Smartphone Integration, Smartphone Integration Package, Wheels: 18 Twin 5-Spoke. We know you would like to see this car up close so call Todd Frison, Isaac Weaver, or Matt Bourassa to schedule an appointment!! Proudly serving Gilbert, Casa Grande, Chandler, Scottsdale, Peoria, Surprise, Avondale, Tucson, Mesa, Phoenix. Please call 1-855-717-7620. 24/33 City/Highway MPG We know you would like to see this car up close so call Todd Frison, Isaac Weaver, or Matt Bourassa to schedule an appointment!! 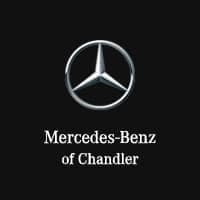 Proudly serving Gilbert, Casa Grande, Chandler, Scottsdale, Peoria, Surprise, Avondale, Tucson, Mesa, Phoenix. Please call 1-855-717-7620. - Air Conditioning, Climate Control, Dual Zone Climate Control, Cruise Control, Power Steering, Power Windows, Power Mirrors, Leather Steering Wheel, Power Passenger Seat, Memory Seat Position, Wood Trim, Clock, Tachometer, Digital Info Center, Homelink System, Tilt Steering Wheel, Telescoping Steering Wheel, Steering Wheel Radio Controls, Sunroof, Moonroof, Driver Airbag, Passenger Airbag, Keyless Entry, Security System, ABS Brakes, Traction Control, Dynamic Stability, Rear Defogger, Fog Lights, Intermittent Wipers, AM/FM, CD Player, Anti-Theft, MB TEX Interior Surface, Power Front Seats with Driver Memory, MB-Tex Upholstery, Radio: Audio 20, 4-way Power Driver's Lumbar Support, 4-Wheel Disc Brakes, Front Bucket Seats, Front Center Armrest, Anti-whiplash front head restraints, Auto-dimming door mirrors, Automatic temperature control, Bodyside moldings, Brake assist, Bumpers: body-color, Delay-off headlights, Driver door bin, Driver vanity mirror, Dual front impact airbags, Dual front side impact airbags, Four wheel independent suspension, Front anti-roll bar, Front reading lights, Fully automatic headlights, Genuine wood console insert, Genuine wood dashboard insert, Genuine wood door panel insert, Head restraints memory, Heated door mirrors, Illuminated entry, Knee airbag, Low tire pressure warning, Occupant sensing airbag, Outside temperature display, Overhead airbag, Overhead console, Passenger door bin, Passenger vanity mirror, Power door mirrors, Power driver seat, Radio data system, Rain sensing wipers, Rear anti-roll bar, Rear reading lights, Rear seat center armrest, Rear side impact airbag, Split folding rear seat, Steering wheel memory, Telescoping steering wheel, Turn signal indicator mirrors, Weather band radio, Front beverage holders, Auto-dimming Rear-View mirror, Child-Seat-Sensing Airbag, 5 Speakers, Compass, Premium audio system: COMAND, Exterior Parking Camera Rear, Emergency communication system: mbrace2 Bluetooth, Body Side Moldings, Carpeted Floor Mats, Center Arm Rest, Child Proof Door Locks, Daytime Running Lights, Heated Mirrors, Overhead Console, Rear Fog Lamps, Rear-Side Airbags, Reverse Camera, Roll Stability Control, Side Curtain Airbags, Tire Pressure Monitor, Vanity Mirrors -CARFAX One-Owner. Rearview Camera, Android Auto, Apple CarPlay, Blind Spot Assist, Burmester Premium Sound System, Crystal Grey Fabric Headliner, Heated Front Seats, Illuminated Star, KEYLESS GOr, Natural Grain Black Ash Wood Center Console, Premium Package, Rear Spoiler, SD-Card Navigation Pre-Wiring, SiriusXM Satellite Radio, Smartphone Integration, Smartphone Integration Package, Wheels: 18 Twin 5-Spoke. Clean CARFAX. We know you would like to see this car up close so call Todd Frison, Isaac Weaver, or Matt Bourassa to schedule an appointment!! Proudly serving Gilbert, Casa Grande, Chandler, Scottsdale, Peoria, Surprise, Avondale, Tucson, Mesa, Phoenix. Please call 1-855-717-7620. Odometer is 504 miles below market average! 24/33 City/Highway MPG We know you would like to see this car up close so call Todd Frison, Isaac Weaver, or Matt Bourassa to schedule an appointment!! Proudly serving Gilbert, Casa Grande, Chandler, Scottsdale, Peoria, Surprise, Avondale, Tucson, Mesa, Phoenix. Please call 1-855-717-7620. - Air Conditioning, Climate Control, Dual Zone Climate Control, Cruise Control, Power Steering, Power Mirrors, Leather Steering Wheel, Memory Seat Position, Wood Trim, Clock, Tachometer, Homelink System, Telescoping Steering Wheel, Steering Wheel Radio Controls, Sunroof, Moonroof, Driver Airbag, Passenger Airbag, Security System, Rear Defogger, Intermittent Wipers, AM/FM, Anti-Theft, MB TEX Interior Surface, Bluetooth, Body Side Moldings, Carpeted Floor Mats, Center Arm Rest, Child Proof Door Locks, Daytime Running Lights, Heated Mirrors, Overhead Console, Rear Fog Lamps, Rear-Side Airbags, Reverse Camera, Roll Stability Control, Side Curtain Airbags, Tire Pressure Monitor, Vanity Mirrors -Clean CARFAX. Clean CARFAX. Rearview Camera, Blind Spot Assist, COMAND Navigation, COMAND Single CD/DVD, Crystal Grey Fabric Headliner, Electronic Trunk Closer, HANDS-FREE ACCESS, Hands-Free Access Package, HANDS-FREE Comfort Package, Heated Front Seats, KEYLESS GOr, Multimedia Package, Natural Grain Black Ash Wood Center Console, Navigation Map Updates Included for 3 Years, Premium Package, SiriusXM Satellite Radio, Touchpad, Wheels: 18 Twin 5-Spoke. We know you would like to see this car up close so call Todd Frison, Isaac Weaver, or Matt Bourassa to schedule an appointment!! Proudly serving Gilbert, Casa Grande, Chandler, Scottsdale, Peoria, Surprise, Avondale, Tucson, Mesa, Phoenix. Please call 1-855-717-7620. 24/33 City/Highway MPG We know you would like to see this car up close so call Todd Frison, Isaac Weaver, or Matt Bourassa to schedule an appointment!! Proudly serving Gilbert, Casa Grande, Chandler, Scottsdale, Peoria, Surprise, Avondale, Tucson, Mesa, Phoenix. Please call 1-855-717-7620. - Air Conditioning, Climate Control, Dual Zone Climate Control, Cruise Control, Power Steering, Power Windows, Power Mirrors, Leather Steering Wheel, Power Passenger Seat, Memory Seat Position, Wood Trim, Clock, Tachometer, Digital Info Center, Homelink System, Tilt Steering Wheel, Telescoping Steering Wheel, Steering Wheel Radio Controls, Sunroof, Moonroof, Driver Airbag, Passenger Airbag, Keyless Entry, Security System, ABS Brakes, Traction Control, Dynamic Stability, Rear Defogger, Fog Lights, Intermittent Wipers, AM/FM, CD Player, Anti-Theft, MB TEX Interior Surface, 5 Speakers, Premium audio system: COMAND, Radio data system, Radio: Audio 20, Weather band radio, Automatic temperature control, Head restraints memory, Power driver seat, Power Front Seats with Driver Memory, Steering wheel memory, Four wheel independent suspension, 4-Wheel Disc Brakes, Anti-whiplash front head restraints, Child-Seat-Sensing Airbag, Dual front impact airbags, Dual front side impact airbags, Emergency communication system: mbrace2, Front anti-roll bar, Knee airbag, Low tire pressure warning, Occupant sensing airbag, Overhead airbag, Rear anti-roll bar, Rear side impact airbag, Brake assist, Exterior Parking Camera Rear, Delay-off headlights, Fully automatic headlights, Auto-dimming door mirrors, Bodyside moldings, Bumpers: body-color, Heated door mirrors, Power door mirrors, Turn signal indicator mirrors, Auto-dimming Rear-View mirror, Compass, Driver door bin, Driver vanity mirror, Front reading lights, Genuine wood console insert, Genuine wood dashboard insert, Genuine wood door panel insert, Illuminated entry, Outside temperature display, Overhead console, Passenger vanity mirror, Rear reading lights, Rear seat center armrest, Telescoping steering wheel, 4-way Power Driver's Lumbar Support, Front Bucket Seats, Front Center Armrest, MB-Tex Upholstery, Split folding rear seat, Passenger door bin, Rain sensing wipers Bluetooth, Body Side Moldings, Carpeted Floor Mats, Center Arm Rest, Child Proof Door Locks, Daytime Running Lights, Heated Mirrors, Overhead Console, Rear Fog Lamps, Rear-Side Airbags, Reverse Camera, Roll Stability Control, Side Curtain Airbags, Tire Pressure Monitor, Vanity Mirrors -Clean CARFAX. Rearview Camera, Blind Spot Assist, COMAND Navigation, COMAND Single CD/DVD, Crystal Grey Fabric Headliner, Electronic Trunk Closer, HANDS-FREE ACCESS, Hands-Free Access Package, HANDS-FREE Comfort Package, Heated Front Seats, KEYLESS GOr, Multimedia Package, Natural Grain Black Ash Wood Center Console, Navigation Map Updates Included for 3 Years, Premium Package, SiriusXM Satellite Radio, Touchpad, Wheels: 18 Twin 5-Spoke. Clean CARFAX. Rearview Camera, Android Auto, Apple CarPlay, Blind Spot Assist, Heated Front Seats, KEYLESS GOr, Natural Grain Black Ash Wood Center Console, Porcelain Fabric Headliner, Premium Package, SD-Card Navigation Pre-Wiring, SiriusXM Satellite Radio, Smartphone Integration, Smartphone Integration Package, Wheels: 18 Twin 5-Spoke. We know you would like to see this car up close so call Todd Frison, Isaac Weaver, or Matt Bourassa to schedule an appointment!! Proudly serving Gilbert, Casa Grande, Chandler, Scottsdale, Peoria, Surprise, Avondale, Tucson, Mesa, Phoenix. Please call 1-855-717-7620. 24/33 City/Highway MPG We know you would like to see this car up close so call Todd Frison, Isaac Weaver, or Matt Bourassa to schedule an appointment!! Proudly serving Gilbert, Casa Grande, Chandler, Scottsdale, Peoria, Surprise, Avondale, Tucson, Mesa, Phoenix. Please call 1-855-717-7620. - Air Conditioning, Climate Control, Dual Zone Climate Control, Cruise Control, Power Steering, Power Windows, Power Mirrors, Leather Steering Wheel, Power Passenger Seat, Memory Seat Position, Wood Trim, Clock, Tachometer, Digital Info Center, Homelink System, Tilt Steering Wheel, Telescoping Steering Wheel, Steering Wheel Radio Controls, Sunroof, Moonroof, Driver Airbag, Passenger Airbag, Keyless Entry, Security System, ABS Brakes, Traction Control, Dynamic Stability, Rear Defogger, Fog Lights, Intermittent Wipers, AM/FM, CD Player, Anti-Theft, MB TEX Interior Surface, Power Front Seats with Driver Memory, MB-Tex Upholstery, Radio: Audio 20, 4-way Power Driver's Lumbar Support, 4-Wheel Disc Brakes, Front Bucket Seats, Front Center Armrest, Anti-whiplash front head restraints, Auto-dimming door mirrors, Automatic temperature control, Bodyside moldings, Brake assist, Bumpers: body-color, Delay-off headlights, Driver door bin, Driver vanity mirror, Dual front impact airbags, Dual front side impact airbags, Four wheel independent suspension, Front anti-roll bar, Front reading lights, Fully automatic headlights, Genuine wood console insert, Genuine wood dashboard insert, Genuine wood door panel insert, Head restraints memory, Heated door mirrors, Illuminated entry, Knee airbag, Low tire pressure warning, Occupant sensing airbag, Outside temperature display, Overhead airbag, Overhead console, Passenger door bin, Passenger vanity mirror, Power door mirrors, Power driver seat, Radio data system, Rain sensing wipers, Rear anti-roll bar, Rear reading lights, Rear seat center armrest, Rear side impact airbag, Split folding rear seat, Steering wheel memory, Telescoping steering wheel, Turn signal indicator mirrors, Weather band radio, Front beverage holders, Auto-dimming Rear-View mirror, Child-Seat-Sensing Airbag, 5 Speakers, Compass, Premium audio system: COMAND, Exterior Parking Camera Rear, Emergency communication system: mbrace2 Bluetooth, Body Side Moldings, Carpeted Floor Mats, Center Arm Rest, Child Proof Door Locks, Daytime Running Lights, Heated Mirrors, Overhead Console, Rear Fog Lamps, Rear-Side Airbags, Reverse Camera, Roll Stability Control, Side Curtain Airbags, Tire Pressure Monitor, Vanity Mirrors -Clean CARFAX. Rearview Camera, Android Auto, Apple CarPlay, Blind Spot Assist, Heated Front Seats, KEYLESS GOr, Natural Grain Black Ash Wood Center Console, Porcelain Fabric Headliner, Premium Package, SD-Card Navigation Pre-Wiring, SiriusXM Satellite Radio, Smartphone Integration, Smartphone Integration Package, Wheels: 18 Twin 5-Spoke. CARFAX One-Owner. Clean CARFAX. 19 AMGr Twin 5-Spoke Wheels, Active Parking Assist, AMG Line Exterior, AMGr Body Styling, Blind Spot Assist, Electric Trunk Closer, Hands-Free Access, Heated Front Seats, KEYLESS GO Comfort Package Code, KEYLESS GOr, NFC Wireless Charging, Panorama Roof, Parking Assist Package Code, Perforated Front Brake Discs & Fr Brake Calipers, Premium 1 Package, SiriusXM Radio, Sport Interior, Sport Interior (P15). We know you would like to see this car up close so call Todd Frison, Isaac Weaver, or Matt Bourassa to schedule an appointment!! Proudly serving Gilbert, Casa Grande, Chandler, Scottsdale, Peoria, Surprise, Avondale, Tucson, Mesa, Phoenix. Please call 1-855-717-7620. Priced below KBB Fair Purchase Price! Odometer is 752 miles below market average! 22/30 City/Highway MPG We know you would like to see this car up close so call Todd Frison, Isaac Weaver, or Matt Bourassa to schedule an appointment!! Proudly serving Gilbert, Casa Grande, Chandler, Scottsdale, Peoria, Surprise, Avondale, Tucson, Mesa, Phoenix. Please call 1-855-717-7620. - Air Conditioning, Power Steering, Power Windows, Leather Shifter, Power Passenger Seat, Memory Seat Position, Wood Trim, Tachometer, Digital Info Center, Homelink System, Tilt Steering Wheel, Steering Wheel Radio Controls, Moonroof, Keyless Entry, Security System, ABS Brakes, Traction Control, Dynamic Stability, Rear Defogger, Fog Lights, Intermittent Wipers, AM/FM, MB TEX Interior Surface, Navigation system: COMAND, Sport Package, 8 Speakers, HD Radio, Premium audio system: COMAND, Radio data system, Radio: COMAND Navigation (NTG 5.5), Weather band radio, Automatic temperature control, Head restraints memory, Power driver seat, Steering wheel memory, Four wheel independent suspension, 4-Wheel Disc Brakes, Anti-whiplash front head restraints, Dual front impact airbags, Dual front side impact airbags, Emergency communication system: mbrace2, Front anti-roll bar, Knee airbag, Low tire pressure warning, Occupant sensing airbag, Overhead airbag, Power adjustable front head restraints, Power adjustable rear head restraints, Rear anti-roll bar, Brake assist, Exterior Parking Camera Rear, Delay-off headlights, Fully automatic headlights, Auto-dimming door mirrors, Bumpers: body-color, Heated door mirrors, Power door mirrors, Turn signal indicator mirrors, Auto-dimming Rear-View mirror, Driver door bin, Driver vanity mirror, eCall Emergency System, Front reading lights, Genuine wood dashboard insert, Genuine wood door panel insert, Illuminated entry, Live Traffic, Outside temperature display, Overhead console, Passenger vanity mirror, Rear reading lights, Rear seat center armrest, Telescoping steering wheel, Front Bucket Seats, Front Center Armrest, MB-Tex Upholstery, Power Front Seats, Split folding rear seat, Passenger door bin, 18 5-Spoke Wheels, Rain sensing wipers Overhead Console -CARFAX One-Owner. Clean CARFAX. 19 AMGr Twin 5-Spoke Wheels, Active Parking Assist, AMG Line Exterior, AMGr Body Styling, Blind Spot Assist, Electric Trunk Closer, Hands-Free Access, Heated Front Seats, KEYLESS GO Comfort Package Code, KEYLESS GOr, NFC Wireless Charging, Panorama Roof, Parking Assist Package Code, Perforated Front Brake Discs & Fr Brake Calipers, Premium 1 Package, SiriusXM Radio, Sport Interior, Sport Interior (P15). CARFAX One-Owner. Clean CARFAX. Rearview Camera, 115V AC Power Outlet, 18 5-Spoke Wheels, AMGr Body Styling, Black Headliner, Blind Spot Assist, Burmester Surround Sound System, Natural Grain Brown Ash Wood Center Console, Rear Spoiler, Sport Interior, Sport Interior (P15), Sport Package. We know you would like to see this car up close so call Todd Frison, Isaac Weaver, or Matt Bourassa to schedule an appointment!! Proudly serving Gilbert, Casa Grande, Chandler, Scottsdale, Peoria, Surprise, Avondale, Tucson, Mesa, Phoenix. Please call 1-855-717-7620. 21/30 City/Highway MPG We know you would like to see this car up close so call Todd Frison, Isaac Weaver, or Matt Bourassa to schedule an appointment!! Proudly serving Gilbert, Casa Grande, Chandler, Scottsdale, Peoria, Surprise, Avondale, Tucson, Mesa, Phoenix. Please call 1-855-717-7620. - Air Conditioning, Climate Control, Dual Zone Climate Control, Cruise Control, Power Steering, Power Windows, Power Mirrors, Leather Steering Wheel, Leather Shifter, Power Passenger Seat, Memory Seat Position, Wood Trim, Clock, Tachometer, Digital Info Center, Homelink System, Tilt Steering Wheel, Telescoping Steering Wheel, Steering Wheel Radio Controls, Sunroof, Moonroof, Driver Airbag, Passenger Airbag, Side Airbags, Keyless Entry, Security System, ABS Brakes, Traction Control, Dynamic Stability, Rear Defogger, Fog Lights, Intermittent Wipers, AM/FM, Anti-Theft, MB TEX Interior Surface, Sport Package, 18 5-Spoke Wheels, Power Front Seats, MB-Tex Upholstery, Radio: COMAND Navigation, Apple CarPlay, Android Auto, HD Radio with SIRIUS Satellite & Real-Time Traffic, 4-Way Lumbar Support, 4-Wheel Disc Brakes, Front Bucket Seats, Front Center Armrest, Anti-whiplash front head restraints, Auto-dimming door mirrors, Automatic temperature control, Brake assist, Bumpers: body-color, Delay-off headlights, Driver door bin, Driver vanity mirror, Dual front impact airbags, Dual front side impact airbags, Four wheel independent suspension, Front anti-roll bar, Front reading lights, Fully automatic headlights, Genuine wood dashboard insert, Genuine wood door panel insert, Head restraints memory, Heated door mirrors, Illuminated entry, Knee airbag, Low tire pressure warning, Occupant sensing airbag, Outside temperature display, Overhead airbag, Overhead console, Passenger door bin, Passenger vanity mirror, Power adjustable front head restraints, Power adjustable rear head restraints, Power door mirrors, Power driver seat, Radio data system, Rain sensing wipers, Rear anti-roll bar, Rear reading lights, Rear seat center armrest, Split folding rear seat, Steering wheel memory, Telescoping steering wheel, Turn signal indicator mirrors, Weather band radio, Auto-dimming Rear-View mirror, 8 Speakers, Navigation system: COMAND, Premium audio system: COMAND, Exterior Parking Camera Rear, Emergency communication system: Mercedes me connect Aux. Audio Input, Carpeted Floor Mats, Center Arm Rest, Child Proof Door Locks, Daytime Running Lights, Heated Mirrors, Navigation System, Overhead Console, Rear Fog Lamps, Remote Fuel Door, Remote Trunk Lid, Reverse Camera, Roll Stability Control, Side Curtain Airbags, Tire Pressure Monitor, Vanity Mirrors -CARFAX One-Owner. Clean CARFAX. Rearview Camera, 115V AC Power Outlet, 18 5-Spoke Wheels, AMGr Body Styling, Black Headliner, Blind Spot Assist, Burmester Surround Sound System, Natural Grain Brown Ash Wood Center Console, Rear Spoiler, Sport Interior, Sport Interior (P15), Sport Package. Clean CARFAX. Rearview Camera, 115V AC Power Outlet, 19 5-Spoke Wheels, Android Auto, Apple CarPlay, Blind Spot Assist, Brushed Aluminum Running Boards, DVD Player, Eucalyptus Wood Trim, harman/kardonr Logic 7r Surround Sound System, KEYLESS GOr, Lane Keeping Assist, Lane Tracking Package, Navigation Updates For 3 Years, Porcelain Headliner, Premium 1 Package, Radio: COMAND Navigation, Rear Seat Entertainment Pre-Wiring, Region Coding, SiriusXM Satellite Radio, Smartphone Integration (14U). We know you would like to see this car up close so call Todd Frison, Isaac Weaver, or Matt Bourassa to schedule an appointment!! Proudly serving Gilbert, Casa Grande, Chandler, Scottsdale, Peoria, Surprise, Avondale, Tucson, Mesa, Phoenix. Please call 1-855-717-7620. We know you would like to see this car up close so call Todd Frison, Isaac Weaver, or Matt Bourassa to schedule an appointment!! Proudly serving Gilbert, Casa Grande, Chandler, Scottsdale, Peoria, Surprise, Avondale, Tucson, Mesa, Phoenix. Please call 1-855-717-7620. - Air Conditioning, Climate Control, Dual Zone Climate Control, Cruise Control, Tinted Windows, Power Steering, Power Windows, Power Mirrors, Leather Steering Wheel, Leather Shifter, Power Passenger Seat, Memory Seat Position, Roof Rack, Wood Trim, Clock, Tachometer, Digital Info Center, Homelink System, Tilt Steering Wheel, Telescoping Steering Wheel, Steering Wheel Radio Controls, Sunroof, Moonroof, Driver Airbag, Passenger Airbag, Side Airbags, Keyless Entry, Security System, ABS Brakes, Traction Control, Dynamic Stability, Rear Defogger, Fog Lights, Intermittent Wipers, AM/FM, CD Player, Anti-Theft, MB TEX Interior Surface, Axle Ratio: 3.47, 19 5-Spoke Wheels, Power Front Seats with Driver Memory, MB-Tex Leatherette Seat Trim, eCall Emergency System, Heated Front Bucket Seats, 4-Way Lumbar Support, 4-Wheel Disc Brakes, Front Bucket Seats, Front Center Armrest, Power Liftgate, Spoiler, Adjustable head restraints: driver and passenger, Anti-whiplash front head restraints, Auto-dimming door mirrors, Automatic temperature control, Brake assist, Bumpers: body-color, DVD-Audio, Delay-off headlights, Driver door bin, Driver vanity mirror, Dual front impact airbags, Dual front side impact airbags, Four wheel independent suspension, Front anti-roll bar, Front reading lights, Fully automatic headlights, Genuine wood dashboard insert, Heated door mirrors, Heated front seats, Illuminated entry, Knee airbag, Low tire pressure warning, Occupant sensing airbag, Outside temperature display, Overhead airbag, Passenger door bin, Passenger vanity mirror, Power adjustable front head restraints, Power door mirrors, Power driver seat, Radio data system, Rain sensing wipers, Rear anti-roll bar, Rear reading lights, Rear seat center armrest, Rear window wiper, Split folding rear seat, Steering wheel memory, Telescoping steering wheel, Turn signal indicator mirrors, Weather band radio, Auto-dimming Rear-View mirror, 8 Speakers, Compass, Exterior Parking Camera Rear, Emergency communication system: eCall Emergency System Air Conditioned Seats, Aux. Audio Input, Bluetooth, Carpeted Floor Mats, Center Arm Rest, Child Proof Door Locks, Daytime Running Lights, Front AC Seats, Front Heated Seats, Heated Mirrors, Power Lift Gate, Rear Fog Lamps, Rear Spoiler, Rear Spoiler, Rear Wipers, Remote Trunk Lid, Reverse Camera, Roll Stability Control, Side Curtain Airbags, Tire Pressure Monitor, Vanity Mirrors -Clean CARFAX. Rearview Camera, 115V AC Power Outlet, 19 5-Spoke Wheels, Android Auto, Apple CarPlay, Blind Spot Assist, Brushed Aluminum Running Boards, DVD Player, Eucalyptus Wood Trim, harman/kardonr Logic 7r Surround Sound System, KEYLESS GOr, Lane Keeping Assist, Lane Tracking Package, Navigation Updates For 3 Years, Porcelain Headliner, Premium 1 Package, Radio: COMAND Navigation, Rear Seat Entertainment Pre-Wiring, Region Coding, SiriusXM Satellite Radio, Smartphone Integration (14U). Clean CARFAX. Rearview Camera, 18 AMGr 5-Spoke Wheels, AMG Line Exterior, AMGr Body Styling, Black Headliner, Blind Spot Assist, Burmester Surround Sound System, Comfort Box, Electric Trunk Closer, Hands-Free Access, Heated Front Seats, KEYLESS GO Comfort Package Code, KEYLESS GOr, Lowered Suspension with Selective Damping System, NFC Wireless Charging, Perforated Front Brake Discs & Fr Brake Calipers, Premium 1 Package, Rear Spoiler, SiriusXM Radio, Sport Interior, Sport Interior (P15). We know you would like to see this car up close so call Todd Frison, Isaac Weaver, or Matt Bourassa to schedule an appointment!! Proudly serving Gilbert, Casa Grande, Chandler, Scottsdale, Peoria, Surprise, Avondale, Tucson, Mesa, Phoenix. Please call 1-855-717-7620. 21/30 City/Highway MPG We know you would like to see this car up close so call Todd Frison, Isaac Weaver, or Matt Bourassa to schedule an appointment!! Proudly serving Gilbert, Casa Grande, Chandler, Scottsdale, Peoria, Surprise, Avondale, Tucson, Mesa, Phoenix. Please call 1-855-717-7620. - Air Conditioning, Climate Control, Dual Zone Climate Control, Cruise Control, Power Steering, Power Windows, Power Mirrors, Leather Steering Wheel, Leather Shifter, Power Passenger Seat, Memory Seat Position, Wood Trim, Clock, Tachometer, Digital Info Center, Homelink System, Tilt Steering Wheel, Telescoping Steering Wheel, Steering Wheel Radio Controls, Sunroof, Moonroof, Driver Airbag, Passenger Airbag, Side Airbags, Keyless Entry, Security System, ABS Brakes, Traction Control, Dynamic Stability, Rear Defogger, Fog Lights, Intermittent Wipers, AM/FM, Anti-Theft, MB TEX Interior Surface, Sport Package, 18 5-Spoke Wheels, Power Front Seats, MB-Tex Upholstery, Radio: COMAND Navigation, Apple CarPlay, Android Auto, HD Radio with SIRIUS Satellite & Real-Time Traffic, 4-Way Lumbar Support, 4-Wheel Disc Brakes, Front Bucket Seats, Front Center Armrest, Anti-whiplash front head restraints, Auto-dimming door mirrors, Automatic temperature control, Brake assist, Bumpers: body-color, Delay-off headlights, Driver door bin, Driver vanity mirror, Dual front impact airbags, Dual front side impact airbags, Four wheel independent suspension, Front anti-roll bar, Front reading lights, Fully automatic headlights, Genuine wood dashboard insert, Genuine wood door panel insert, Head restraints memory, Heated door mirrors, Illuminated entry, Knee airbag, Low tire pressure warning, Occupant sensing airbag, Outside temperature display, Overhead airbag, Overhead console, Passenger door bin, Passenger vanity mirror, Power adjustable front head restraints, Power adjustable rear head restraints, Power door mirrors, Power driver seat, Radio data system, Rain sensing wipers, Rear anti-roll bar, Rear reading lights, Rear seat center armrest, Split folding rear seat, Steering wheel memory, Telescoping steering wheel, Turn signal indicator mirrors, Weather band radio, Auto-dimming Rear-View mirror, 8 Speakers, Navigation system: COMAND, Premium audio system: COMAND, Exterior Parking Camera Rear, Emergency communication system: Mercedes me connect Aux. Audio Input, Carpeted Floor Mats, Center Arm Rest, Child Proof Door Locks, Daytime Running Lights, Heated Mirrors, Navigation System, Overhead Console, Rear Fog Lamps, Remote Fuel Door, Remote Trunk Lid, Reverse Camera, Roll Stability Control, Side Curtain Airbags, Tire Pressure Monitor, Vanity Mirrors -Clean CARFAX. Rearview Camera, 18 AMGr 5-Spoke Wheels, AMG Line Exterior, AMGr Body Styling, Black Headliner, Blind Spot Assist, Burmester Surround Sound System, Comfort Box, Electric Trunk Closer, Hands-Free Access, Heated Front Seats, KEYLESS GO Comfort Package Code, KEYLESS GOr, Lowered Suspension with Selective Damping System, NFC Wireless Charging, Perforated Front Brake Discs & Fr Brake Calipers, Premium 1 Package, Rear Spoiler, SiriusXM Radio, Sport Interior, Sport Interior (P15). Pre-Owned vehicle pricing includes all offers. Tax, Title and Tags not included in vehicle prices shown and must be paid by the purchaser. While great effort is made to ensure the accuracy of the information on this site, errors do occur so please verify information with a customer service rep. This is easily done by calling us at (866) 306-6297 or by visiting us at the dealership.